Many homeowners may think the best gas furnaces are not seen or heard. That’s why Amana® brand AMVC8 Variable-Speed furnaces are insulated for noise reduction. However, the real secret to its unobtrusiveness is that it strives to operate on low capacity as often and as long as possible and, therefore, produces up to 25% of the normal high-fire and circulating blower sound as compared to single-speed units. If the heat exchanger in this gas furnace ever fails for the original, registered homeowner, we will provide a new furnace at no cost. 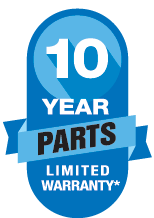 These furnaces also carry a 10-Year Parts Limited Warranty* on all functional parts. 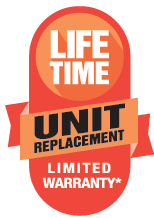 For a full description of all warranties applicable to this product, please see your local Amana brand dealer or click on the consumer brochure and product warranty links above. 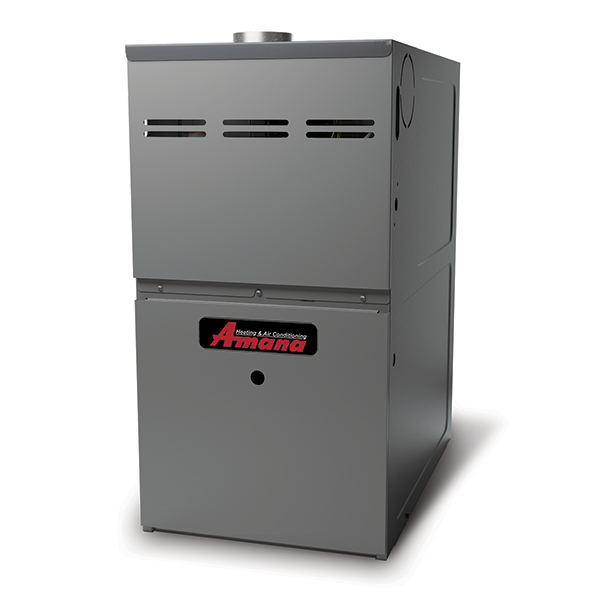 If you want to consider the best 80% AFUE gas furnace that the Amana brand offers but don’t need the efficiency provided by a 90% furnace, install this furnace and enjoy the energy and money savings year after year (compared to single-stage gas furnaces). This gas furnace has an AFUE rating of 80%, which means that 80 cents of every $1.00 of heating energy expense warms your home.